We talked about the Samsung Galaxy Tab PRO 10.1. Now that you have (hopefully) made your decision and purchased the Tab Pro tablet, you need to think about protecting it. Tablets are compact, useful, fun…and very fragile. Even something as simple as sliding off of your lap or the coffee table onto the floor is enough to crack and ruin your tablet. You’ve invested the money into the purchase of your new tablet, and you need to do the same thing for the best Galaxy Pro 10.1 Tablet Covers. 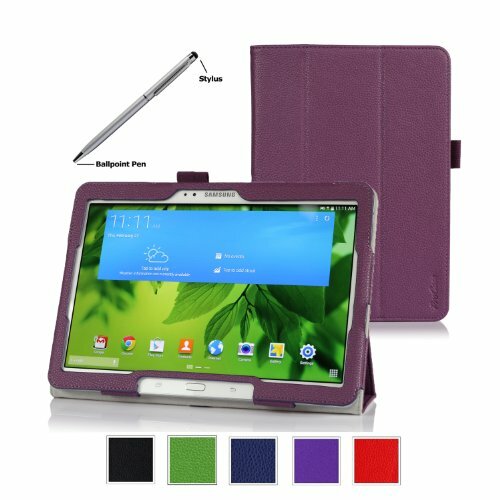 Why Do I Need to Get a Samsung Tab Pro case? 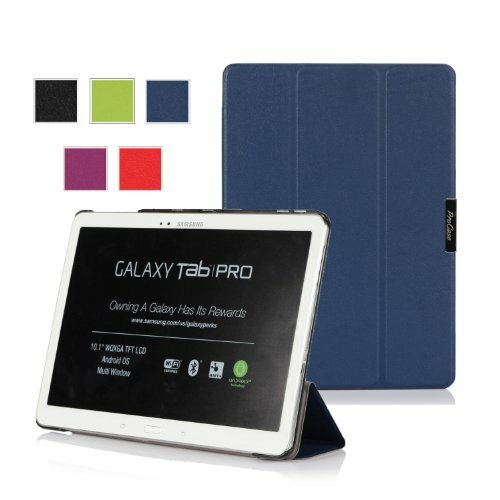 1 Why Do I Need to Get a Samsung Tab Pro case? 1.0.1 What is a Samsung Galaxy Tab PRO 10.1 case? Even the most careful of people have accidents, and for that reason it is important to purchase a case that will not only provide maximum protection, but also maximum convenience. We have taken the guesswork out of purchasing your Tab Pro 10.1 case by testing and reviewing the following cases. What is a Samsung Galaxy Tab PRO 10.1 case? Your Galaxy Tab Pro 10.1 case is made specifically for your particular make and model of tablet. Unlike “generic” cases that provide minimal protection because of the differences in tablet designs, the Tab tablet cover is made to protect your case and maximize your usage as well. Below are the five covers that we have chosen to review for you, based on sales and customer satisfaction. This case is sleek, functional and attractive, and provides maximum protection at a very economical cost. Specifically designed for the Tab Pro 10.1, it is made of Vegan leather and is available in a wide range of colors. It’s soft micro-fiber interior protects your tablet from the elements, while the custom-fit back shell keeps your device secure and provides easy access to all ports. The unique 360 degree rotation allows for 4 flexible viewing positions (2 landscape and 2 portrait) and it comes with an elastic band for easy Stylus storage (Stylus not included). The included sleep/wake feature puts your tablet to sleep when you close it, and automatically wakes it when it is opened, to preserve battery live. At only $13.99, this cover is affordable protection with a wide range of features. Designed specifically for your Samsung Tab Pro, this synthetic leather case is stylish and functional. Available in several colors, this case includes a built-in elastic hand strap, a stylus pen holder and a bonus stylus pen. The tri-fold lid folds back to provide a convenient stand with multiple viewing angles and the sleek design allows access to all features. At $9.99, this case is an economical yet practical choice for your Tab Pro 10.1 tablet. This Bluetooth keyboard case is a practical choice for professionals who are using their keyboard feature on their tablet to type presentations, memos, emails, etc. A real, laptop style keyboard provides a better typing experience than comparable silicone keyboards. Designed to be keyboard, stand and premium carrying case, this stylish case is well-built and will provide durable protection for years to come. This stylish, practical synthetic leather case is available in a wide range of colors for your Galaxy Pro 10.1. With an interior strap for one-handed use, a built-in stand with adjustable viewing angles and a built-in stylus loop, this is the perfect case for the user on the go, who has no need for “bells and whistles” protection. This hard shell case with built in stand, multiple standing positions, soft microfiber interior and magnetic closure is a sensible, stylish case designed to protect your case and provide maximum functionality. Your Tab Pro will be well protected while still allowing easy access to all features. Slim and portable, this is an economical and practical choice for tablet protection. It is important to consider all of these questions when purchasing your tablet case, in order to ensure that your case meets your specific needs, whatever those may be. 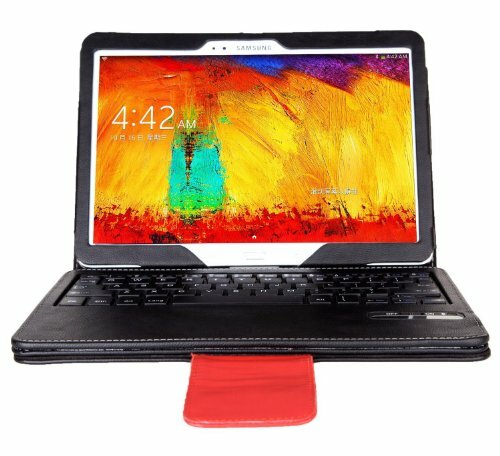 Someone who primarily uses their tablet for entertainment may not be interested in an external keyboard, but may want multiple viewing options. A businessperson probably would not be as concerned with style as they would be with key features for functionality, including an external keyboard or included stylus. Because each Tab Pro 10.1 user is unique, Samsung provides a wide range of cases in order to allow you to customize your tablet protection. Your Samsung tablet is an investment, and should be treated as such. Choosing proper protection with the features that you need will ensure that your tablet is protected and functional for years to come. Be sure to make your selection quickly, both to protect your tablet and to take advantage of Samsung Galaxy Tab PRO 10.1 Tablet Cover discounts available right now. Don’t delay and risk catastrophe! The Complete Samsung Galaxy Tab 4 10.1 Tablet Review - Is It Worth Buying?